Amazon.com Price: (as of 2019-04-25 14:37:35 GMT) Product prices and availability are accurate as of the date/time indicated and are subject to change. Any price and availability information displayed on Amazon.com at the time of purchase will apply to the purchase of this product. 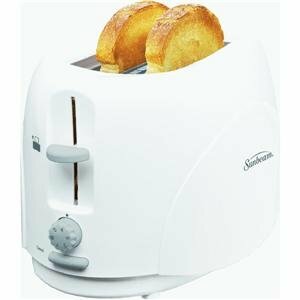 Make your perfect toast and bagels with this Sunbeam 2 slice toaster. The Sunbeam toaster has extra wide slots for bagels and specialty bread, adjustable shade selector for just the right amount of toasting, cool touch housing and toast lift for easy retrieval of small items.